There is a very interesting discussion going on at the moment in the 'Let's Play' community about ethics. Let's Play is when gamers record and share gameplay for their viewers and it's one of the largest media sensations of the past 10 years. The rating figures are up there with the most popular TV shows and sports events, and it's absolutely massive. But unlike traditional TV where most of the traffic goes to only a small number of shows (caused by the limitation of airtime), the traffic to Let's Play is divided across thousands of individual sites. And it's not just for computer games. Wil Wheaton's Tabletop is just one of many channels devoted to tabletop gaming. If you think it's weird that so many people want to watch other people play games, you shouldn't. This is exactly the same phenomenon that created reality shows on TV. 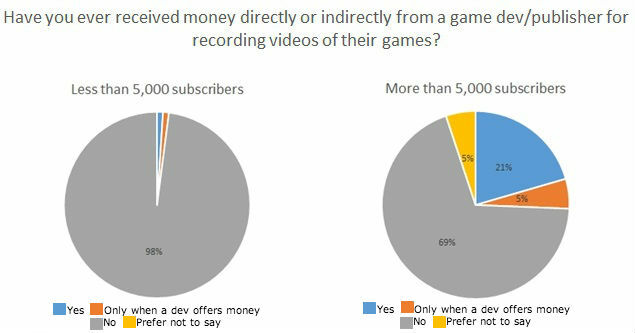 But a recent study by Gamasutra found that 31% of all Let's Play channels have received money to play and review games in a more favorable light, and often failing to disclose that relationship (which they have to do by law). This, of course, creates an ethical problem, which is very similar to what we experience in every other part of the media industry. In the Let's Play community, we have two types of producers. One type is the business people, who are just in it for the money. Exploiting the system, and basically tricking their viewers is second nature to them. This is exactly the same thing we see with sites like UpWorthy, ViralNova and the hundreds of other 'viral' sites that have emerged over the past couple of years. This group will go for the simplest forms of content, for the highest performing output (in the short run), combined with a lot of social engineering to make it appear more exciting than it really is. I call them the 'exploiters'. The other group, however, is the real gamers. These are ones have a Let's Play channel because they absolutely love what they do. And they win through their passion and also their integrity. People like Wil Wheaton, Scott Manley, Dan from NerdCubed, James from The Sim Supply and many, many others are definitely in this category. They are the good guys who understand that integrity and long term success is far better than short term exploitation. And yesterday, Dan posted the video below where he summarizes the issue very nicely, which is worth watching. Note: As always, Dan has a liberal use of language. The reason I point this out is because this is exactly the same discussion we see all the time in the media industry. 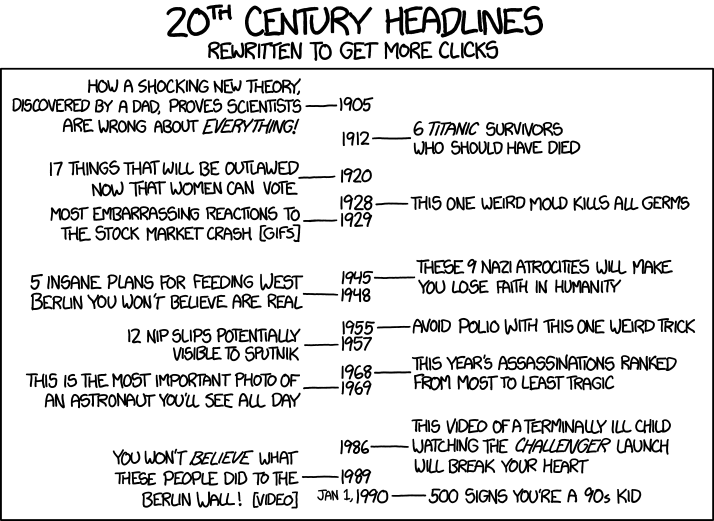 Especially these days where newspapers have to struggle with native advertising and viral sites. Sadly, however, the industry as a whole is currently moving in the wrong direction. More and more 'respectable' newspapers are falling into the short term trap of cheating their readers to gain more short term traffic, and it poses a very serious long term problem. They are all classic clickbait models. And they are irritating as hell. There's no singular way to craft clickbait, but the essence is clear: Lure-no trick-readers to your site. This is not just true for media sites. The same applies to brands. If you engage in clickbait or unethical behavior. You might gain something today, but you are setting yourself up to fail in the long run.